Shares of JCPenney dropped 25% in early trading Wednesday after missing Wall Street’s estimates. The reatiler also slashed its full-year guidance. “Inventory receipts continued to outpace total sales performance this quarter due to prior purchase commitments,” said Chief Financial Officer Jeffrey Davis. 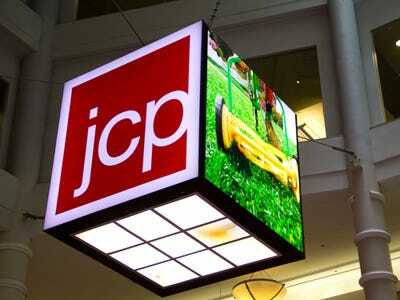 Follow JCPenney’s stock price in real-time here. 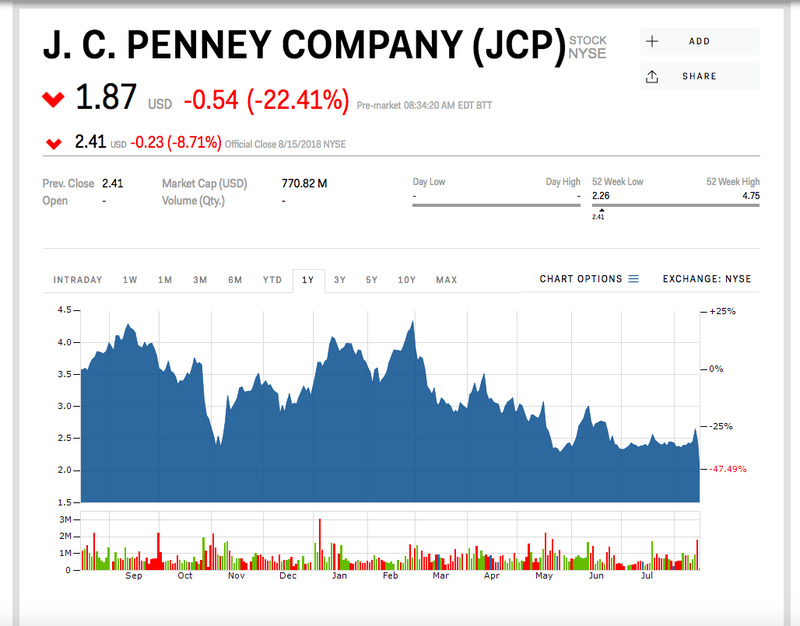 Shares of JCPenney plunged as much as 25% in pre-market trading on Wednesday following the retailer’s second-quarter earnings report, which fell short of Wall Street’s expectations. The company also slashed its full-year forecast. For the fiscal second quarter ended, JCPenney reported a loss of $US0.32 per share, which was bigger than the Wall Street estimate of a $US0.05 loss per share. Looking ahead, the company downgraded its full-year guidance and now sees adjusted loss per share of $US0.80 to $US1 for the period, way down from its prior forecast of $US0.07 to $US0.13. “Inventory receipts continued to outpace total sales performance this quarter due to prior purchase commitments,” said Chief Financial Officer Jeffrey Davis in the earnings release. Shares of the company are down more than 35% since the beginning of 2018.